Carbon Steel Forging - Canada Forgings Inc.
CanForge is pleased to supply exceptional forged products to customers across North America. Carbon steel forgings encompass an important part of CanForge's product line because they exhibit strength, fatigue resistance, ductility, hardenability, and other mechanical properties. Carbon steel is a material that contains a high level of carbon as well as other alloying elements such as manganese. The amount of carbon, which is classified by type and grade, contained in the steel determines the properties of the forged product. There are four main grades of carbon steel: low carbon steel, medium carbon steel, high carbon steel, and very high carbon steel. Depending on the amount of carbon present in the material, carbon steel forgings are hardenable by heat treatment to increase yield and impact strength as well as wear resistance. Low or mild carbon steel contains 0.05% to 0.26% carbon and encompasses grades 1018 and 1020. The lower carbon content causes the material to be more ductile and less brittle, making mild carbon steel a good choice for forging. Medium carbon steel contains 0.29% to 0.54% carbon and includes steel grades 1141. 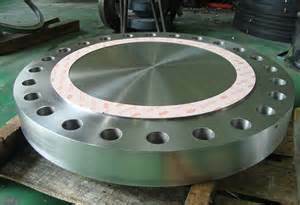 Containing a higher level of manganese, medium carbon steel can be used in the quenched or tempered form for forged crankshafts and many other types of forgings. High carbon steel and very high carbon steel exhibit hardness as well as resiliency and are brittle due to their higher carbon contents, between 0.55% and 2.1%. CanForge is a leading supplier of forgings and forged products across North America. Based in the Niagara Region in the eastern end of the Great Lakes Basin, we are proud to supply superior forged products in carbon steel and many other materials, including titanium, stainless steel, alloy steel, aluminum and more. Give CanForge a call today toll free on +1 800 263 0440, or email us, to learn more about our high quality products, or please visit the Request For Quote page.